Summer salutations to my treasured programming family! It’s Andy Gesner and the staff from HIP Video Promo, and today, we’re thrilled to be able to bring you the latest from The Chemical Brothers. 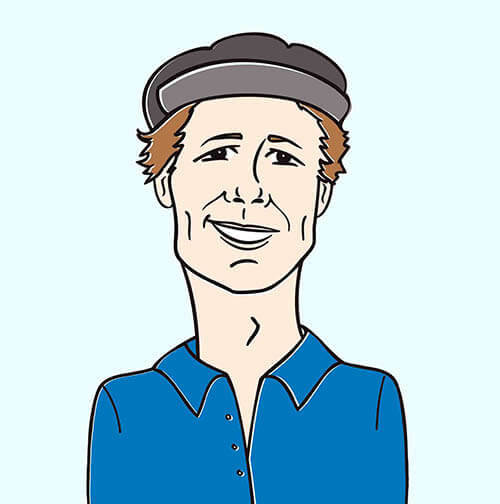 Every new video from Chemical Tom and Chemical Ed is a reason for celebration, and “The Salmon Dance” is no exception: this is sure to be remembered as one of the year’s singular clips. Sure, you’ve seen terrific synchronized dancing in music videos before – but have you ever seen spectacular choreography in a fish tank? Friends, you’re about to. But before plunging into our discussion of this fabulous video, a few words about the international success of We Are The Night, the sixth and most stylistically varied studio album by the Chemical Brothers. The set made its debut at #1 on the British charts, and “Do It Again”, the lead single, broke into Top Tens across the world – including Italy, Lithuania, and Japan. We Are The Night re-established the Brothers (not that they ever went anywhere, but pop fans are fickle and need reminders) as the globe’s most reliable electro-rock hitmakers. The album drew raves upon its release; The Guardian confirmed that the duo hasn’t lost a bit of their edge, and called We Are The Night “their most brilliant work since 1999’s Surrender”. “The Salmon Dance” is exactly what it claims to be: instructions on how to gyrate like a fish swimming upstream. Of course, the beat is huge and the bass riff is indelible, and when you’ve got a dance teacher as funny and commanding as guest emcee Fatlip (The Pharcyde, solo LP The Loneliest Punk) these lessons are nothing but a pleasure. The breaks in the beats are crammed with facts about salmon – there’s good science in this song as well as a great kick-drum – and the tremolo synthesizer in the verse gives the track a definite aquatic feel. The Chemical Brothers sponsored a contest in which the creator of the best video upload of a “salmon dance” would win tickets to a show – but they barely needed to offer an enticement. Within hours of the release of the single, a Salmon Dance group had already organized on YouTube, and countless homemade interpretations of Fatlip’s instructions had been posted. These are amusing as hell, and they’re testament to The Chemical Brothers’s enduring ability to connect with creative people around the world. But none is quite so inspired as the official clip for “The Salmon Dance”. The video stars Rory Jennings – well-known in Britain for his role in the soap opera Eastenders – as a young man with a surprisingly expressive set of pet fish. He drifts from bed to the aquarium on the wall, and is greeted there by the big fish voiced by Fatlip, “Sammy the Salmon”, and a beatboxing puffer. A plastic diver on the floor of the aquarium opens and shuts a treasure chest, and bubbles rise on the beat to the surface of the water. Jennings stares in amazement as the fish begin to rap – but when the song hits the chorus, an array of seahorses twist and float in psychedelic formation. Others swim in rows, forming cubes and sine-waves in the middle of the tank. He nods along, smiles wildly, and kisses the gourami through the glass. Then the air around him begins the change: cars outside the window float up toward the full moon. The world has become an aquarium – and everything is dancing along. HIPVideo@aol.com. 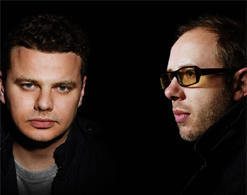 You can also visit www.astralwerks.com, or www.thechemicalbrothers.com, or to find out more about The Chemical Brothers.